To determine the value of your home involves understanding what it is realistically worth, and what price the home will be more likely to sell at. This can be done using a number of methods including property appraisals, median area income, your home's historical cost basis and local property tax numbers to attain a realistic price range and base target number. 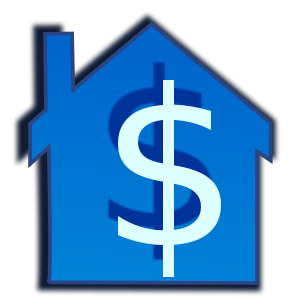 Pricing your home yourself involves combining numerical calculations and home specific evaluation. This determines a real estate value that is adjusted for factors such as home size, street sales, market conditions and home improvements for a more balanced home valuation. The following steps illustrate the different ways your home's value can be determined. Each state charges different average percentages of property tax. Using the National Association of Realtors (NAR) Metro Median Price Map the median property tax paid can be used to calculate the median home price. For example, if the median tax paid is $1,733 and the tax rate is .66 percent then $1,733/66= (26.2575 x 10,000) = $262,757.75. Alternatively, $1,733/.0066 = $262,757.75. This is the price of homes in your area based on median property tax paid. According to Fannie Mae, a national mortgage buyer, the 2010 average median income in Fairfax County, Virginia is $103,000. Using the CNN home affordability calculator, accurately enter in the average median income and additional data with $0 monthly debt. The result will yield a low and high minimum house price, in this case a low of $458,558.90 with .66 percent tax, 3 percent down-payment, $0 debt, and $103,000 income. Inflation adjusted home value can be estimated using The Federal Housing Finance Agency House Price Index (HPI) calculator if the home is being sold. This will give an value of the home based on area house price market movements using the original purchase price and date of the home. The results for this method are reasonably good and will give step four a stronger base value with which to work. For example, a home bought for $200,000 in the same area as step two in 2002 would be worth $295,904 using the HPI calculator. Using the home prices in steps one and two, a range of average home value can be determined. The third value or HPI number gives you a cost based estimate that could exceed the high value of the price range. This price range gives you an idea of what prices you could realistically sell your house for and if your home is priced above average market costs. For the example in this article the house price range is $262,757-$458,558 and the cost based adjusted estimate is $295,904. The above method does not take into account differences in home models such as home improvements, maintenance, neighborhood conditions, local demographic trends etc. For this reason a qualitative appraisal is also helpful, if not essential, in determining the value of your home. For example, two 2 bedroom apartments on the same street could sell for a difference of thousands of dollars because home A included a hot tub. When making a qualitative assessment add or subtract value from the value in step 3 above and compare that price to the cost of homes sold on your street. For example, using Zillow.com, you can get an idea of what similar homes are selling for in your area. Realtors and Real Estate Agents may also be able to provide you with recent home sale statistics for your neighborhood. After performing a quantitative and qualitative assessment of the value of your home, you may compare your results with those of professional appraisers if you choose to do so. In such case, depending on who is doing the appraising, the values may differ a lot based on the purpose of the appraisal. For example, an insurance appraisal or tax appraisal may be lower than a market appraisal.